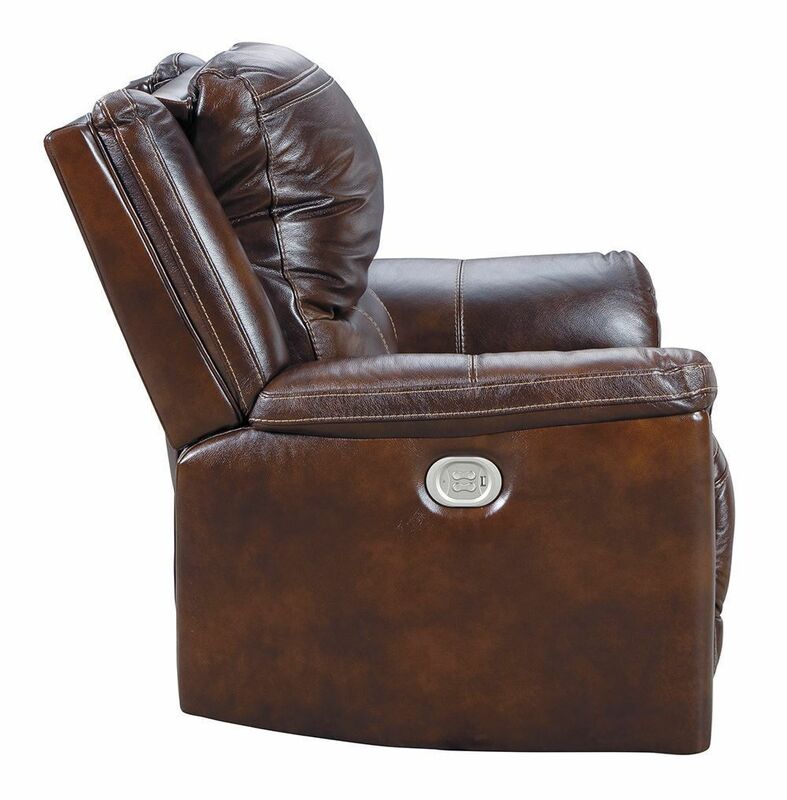 Turn your living space into your own luxurious retreat with the Catanzaro Mahogany Power Recliner. Featuring genuine mahogany-hued leather via the seating area and armrests, with leather substitute on the remaining areas for affordability, this recliner is a modern beauty. Recline with the mere touch of a button, use the power adjustable headrest to customize your comfort, and enjoy the high bustle back that provides cushiony lumbar support. The attractive and eye-catching stitching paired with the curved padded armrests deliver a refined, contemporary vibe we think you'll adore in your space. Always have your devices charged, thanks to the USB charging port located by the power buttons. 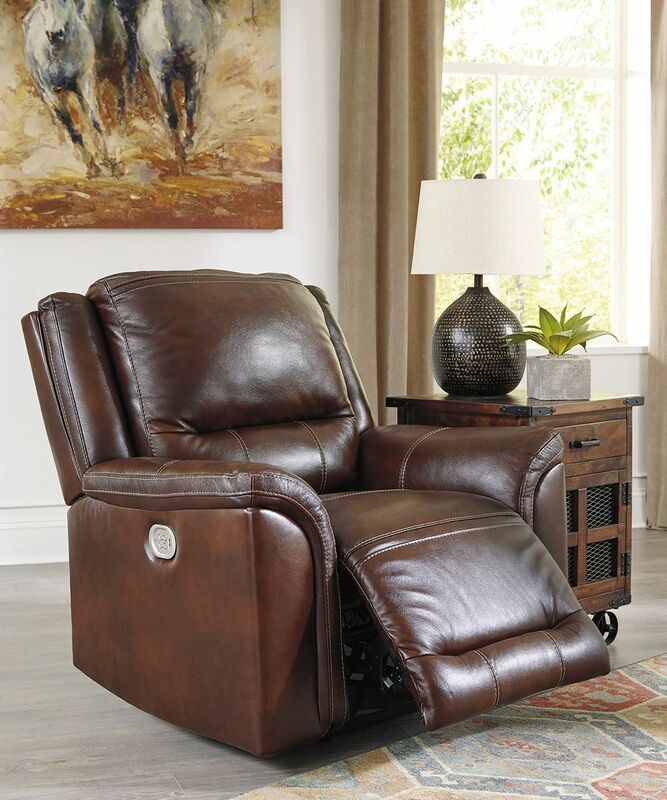 Turn your living space into your own luxurious retreat with the Catanzaro Mahogany Power Recliner.